The interesting thing about choosing a design for your blog is that each theme provides such a different experience. If you’re a writer for example, you will never pick the first choice because you know there’s so much more to explore. And nothing beats that warm, tingly feeling when you finally do find a blog design that matches your persona. 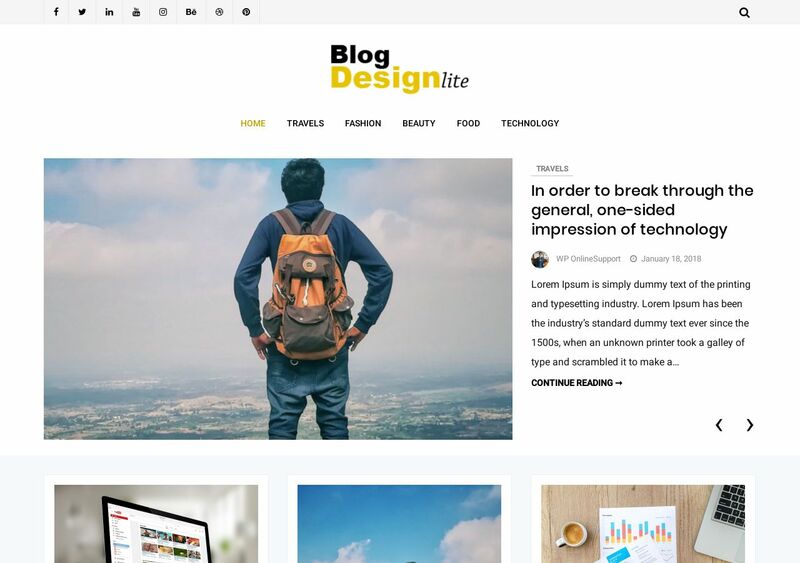 Blog Design Lite is trying to meet the needs of simple writers with big goals in mind. On the design side of things, this theme uses a full-page grid layout. Each post display includes a featured image, and meta-description. Post layouts feel smooth, with minimal colors and full focus on readability. Which means that this free theme for bloggers is an exceptional choice to focus on consistent content production. Interesting plugins include Instagram display, social media links, and a compact footer display.